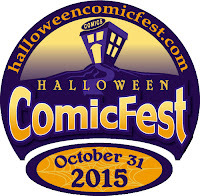 Halloween isn't too far away and it is time to think about what you are handing out to trick-or-treaters on Halloween. 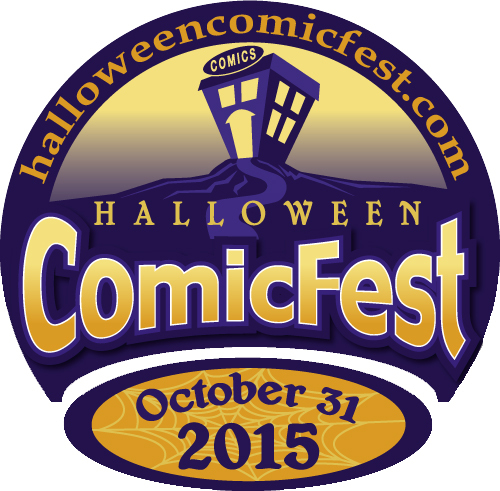 You could be boring and hand out candy, or you could rule your neighborhood and hand out mini comics. You can find a participating store here, and place your order for 25 packs of the mini-comics that will spread the love of comics. My family has done this for the past few years and it has been a huge success. 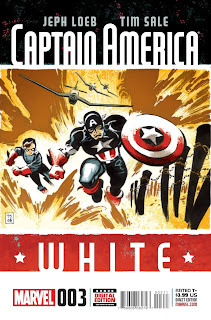 Captain America: White #3 - Dear Marvel. 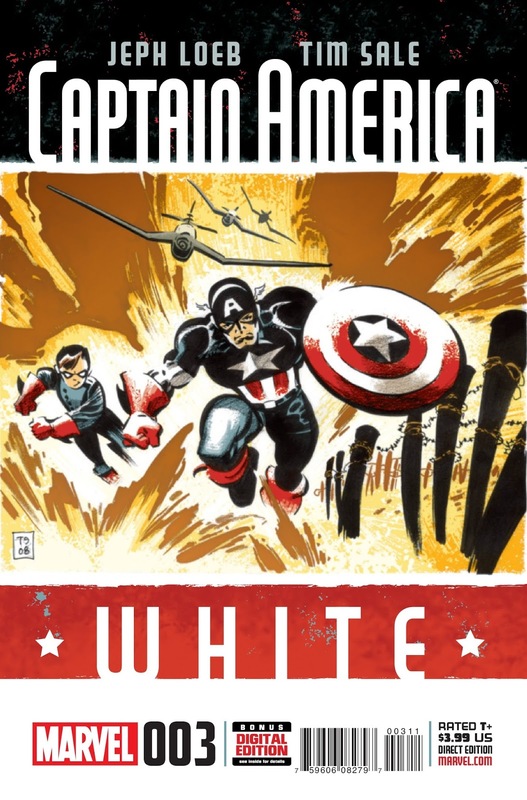 Please give Jeph Loeb and Tim Sale an ongoing series in which they regale us with tales of Captain America during World War II. I have been a good boy this year and feel that I should be rewarded with Captain America taking down Nazis, frustrating General Fury, and trying to impose his moral values on the world in his quest to stop Hitler. Given this issue, we are going to be graced with the presence of Red Skull in the issue #4 and I would love to revisit Baron Zemo, Dr. Faustus, Master Man, and Armin Zola. If you can make this happen I will be forever in your debt. Sincerely, Mikey. Captain America #1 - This is quite the transition from Captain America: White, but with Nick Spencer at the helm I know I am in for a treat. 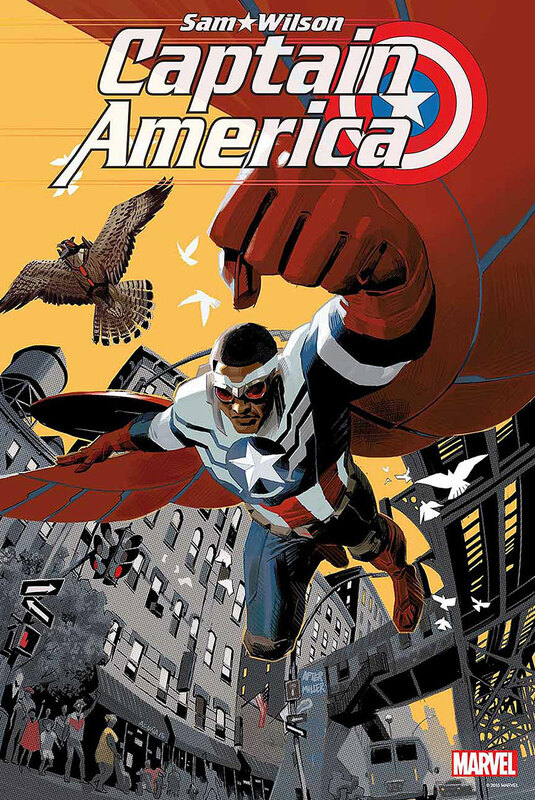 Sam Wilson finds himself in an odd situation. He was granted freedom from S.H.I.E.L.D. and the U.S. Government, but things aren't going as planned. The political divide in this country has created a strong resistance to what he stands for. Spencer does an effective job shifting gears from an external threat to an internal one and I love the uphill battle that Wilson is facing as he attempts to regain the confidence of the American people. I have high hopes for this one. 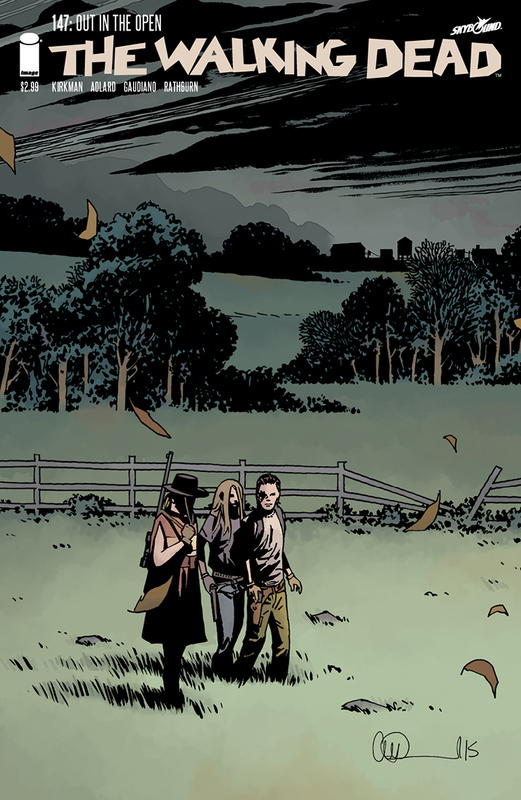 The Walking Dead #147 - While this current arc has been slow on zombies, it has been high on drama. You know things are hitting a boiling point at your home when people want to use a child as bait against her own mother. Rick finds himself and knows that he needs to get Lydia to safety. Despite this drama, this issue shines in the exchange between Michonne and Rick. Michonne is still mourning the death of Ezekiel and has an emotional discussion with Rick, who has suffered endlessly throughout this series. Moments like this will bring me back to this series as it approaches the 150 issue milestone. Batman #45 - Bloom continues to be one of the best Batman villains ever to grace the page of a comic. He has caused quite the stir in Gotham, and the Jim Gordan Batman is at his wits end. After causing a scene, he appears to be on the out as Batman, and we may actually see Bruce dawn the suit. While I like that things remain mixed up, I am yearning for a return of the Batman that is in my comfort zone.